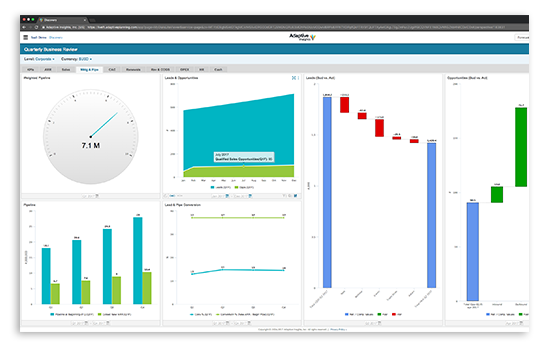 Monitor and drive business performance with interactive dashboards, charts, and visualisations that can be created, personalised, and shared by anyone. 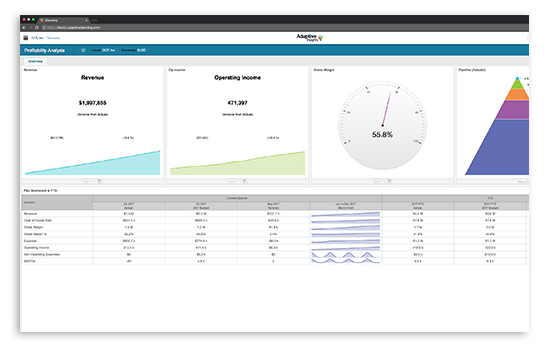 With powerful, easy to use analytics and dashboard software, anyone can plan, adapt and analyse – driving business performance from all areas of the organisation. 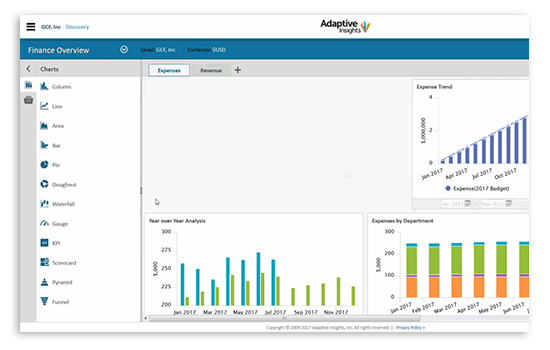 Adaptive Discovery’s data is comprehensive, relevant, and up-to-date – giving you the ability to create interactive dashboards where you won’t need to spend time cross-referencing the numbers, freeing up your time to advise your operational executives and managers. 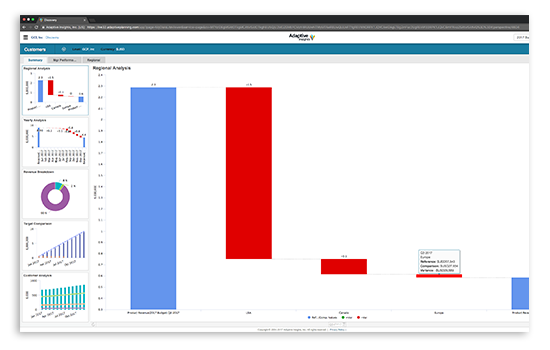 Built for you and your financial knowledge and expertise, the interactive dashboards, charts and visualisations that you create will support you in your everyday work – allowing you to compare budget to actuals, identify trends over time, identify variances, and perform period-over-period analysis – all from your dashboard. When contrasting and comparing data, interactive visualisations complement the human capacity to analyse information rapidly. Information can be selected and personalised to understand and compare over time, and allow you to adapt and course-correct to achieve your goals. 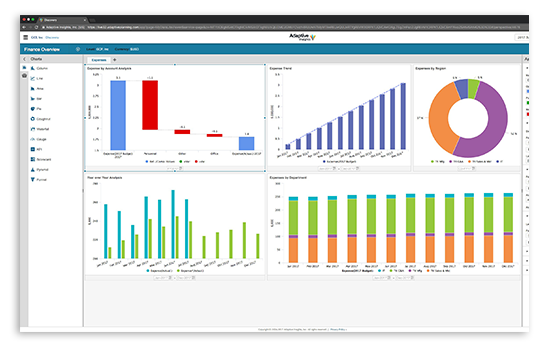 Entice your operational managers and executives into the planning process with eye-catching dashboards that enable them to visualise their KPIs. By creating and sharing interactive dashboards, they can better distinguish patterns and identify problems of their own. This process supports them in driving business performance and improve overall results. Adaptive Discovery helps facilitate the performance management process in a number of ways. By making it easy for you to share visualisations and charts directly from the dashboard (or adding them to documents for collaboration and distribution), it helps you initiate conversations with finance and operational executives about business results. A built-in metrics catalogue – based on the same cloud data foundation to ensure one single source of trusted information – that centralises operational and financial business metrics in categories and folders allows everyone to make decisions on the same KPIs, making it easy to share insights, notes, and narratives across the entire team. Adaptive Analytics’ integrated planning and analytics lets you pivot immediately from analysing performance to re-planning and re-forecasting. Test new assumptions and see their impact in real-time by drilling down to the related planning sheets, or drill further to actual transaction details.